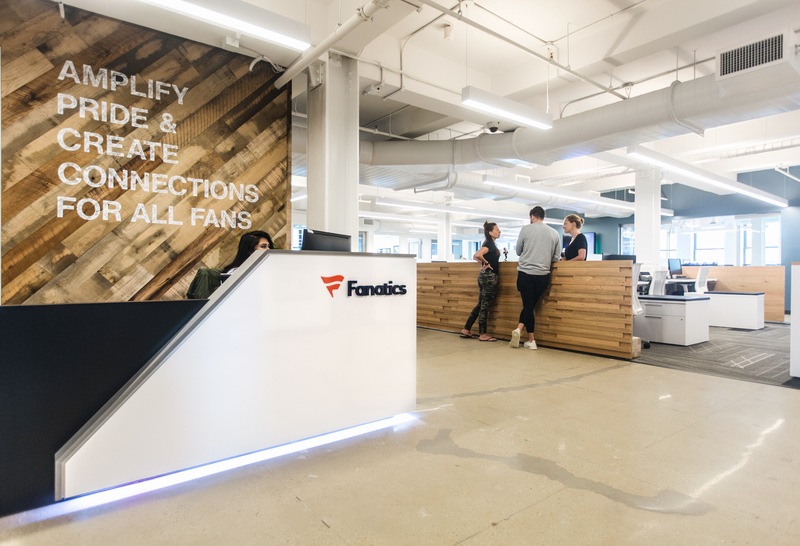 Gresham Smith is proud to announce that the firm is supporting Fanatics, the global leader in officially licensed sports merchandise, in creating cohesive, collaborative office environments for staff that tell the brand’s story and reflect the spirit of sports. The project team is currently providing architecture, interior design and branded environments services for the organization’s Tampa and Jacksonville, Florida offices, having already completed designs for the company’s Hong Kong and New York City offices. Each office space is designed with a seamless “game day” experience in mind. The reception area, or “pre-game” experience, channels the same excitement and anticipation a fan might experience tailgating or entering a stadium. The showrooms and office areas are the “in game” experience where the action happens. The staff collaboration areas and break rooms embody the “post-game” experience and are designed to reflect the laid-back atmosphere a fan might find at a local sports bar or stadium concessions. Gresham Smith’s Corporate and Urban Design expertise has been honed with decades of project experience and continues to be a cornerstone service. The firm’s recent office projects include LifeWay Christian Resources’ new 277,000-square-foot headquarters in downtown Nashville and a 204,000-square-foot corporate headquarters and 15,000-square-foot link, or gathering space for employees and visitors, currently under construction in Franklin, Tennessee, for Ramsey Solutions.